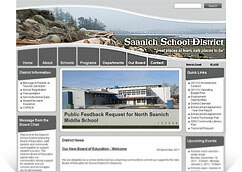 Improve your web presence with professionally designed websites by our team. We create easy to use and easy to maintain websites from the ground up or by using popular Content management System (CMS) solutions. Your internal or external sites can include professional graphics, highly usable and intuitive pages and be optimized for SEO. Your cost are kept down through the use of open source Drupal or WordPress which you can maintain yourself without any HTML knowledge. Although there are many CMS solutions available we tend to use Drupal and WordPress for our services which are both open source. Drupal is the most popular and most powerful open-source CMS.